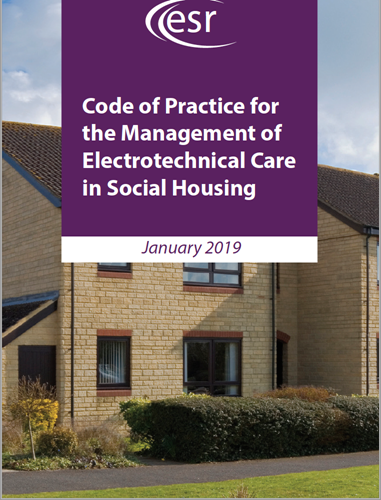 Guidance on how social housing providers should take care of the electrical installations they manage was launched with a reception at the Houses of Parliament on January 23, 2019. The Electrical Safety Roundtable (ESR) brought together over 25 social housing providers and stakeholders to develop the Code of Practice for the Management of Electrotechnical Care in Social Housing, in response to complaints that there was no agreement in the sector on how to determine the electrical safety of stock and assets. The publication aims to provide this by setting out how often the electrical installation in a domestic tenanted property should be inspected, who should carry out these inspections, and how social housing providers should arrange to gain access to properties. Ryan Dempsey, chair of the ESR’s social housing sub-group, said, “I spent many years working in social housing, and found it very difficult to justify some of the decisions I was making to others because there was no standard to refer to. This Code of Practice will provide that justification. The ESR has also released a short summary document outlining key recommendations at a glance, alongside an infographic to educate tenants on the dangers of electricity. All of these documents can be downloaded for free from the social housing pages at www.electricalsafetyroundtable.co.uk.